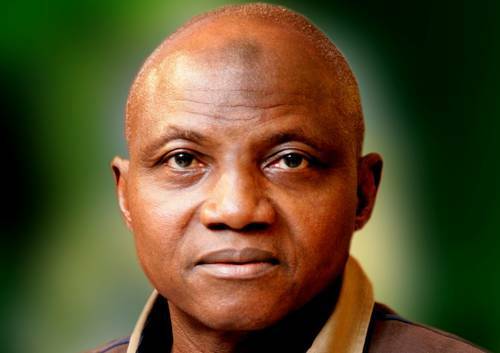 The comments were congruent; there was uniform condemnation of the appraisal of the Buhari government’s first year in office by spokesman Garba Shehu. It appears he could not reach “ten” milestones and had to stop at nine. Garba listed a few known promises and seemingly unable to get enough out of the given promises, had to add new items to the list to make nine; but the people weren’t having it. Interestingly, even a particular item that hurt Nigerians’ pockets was added; “Fuel Import Liberalisation.” Which has seen an unprecedented increase in pump prices and taxation of Nigerians to the tune of N50/liter to enable the cabal oil marketers return into fuel import business. One year into Buhari’s presidency, his handlers are very much confused on what to write about his achievements. They could not name one, rather some slurry milestones. You create milestones at the beginning of a journey, not mid way. Ok? I was expecting to read: ‘we have created x million jobs’, ‘we have increased power stability by y%’, ‘we have improved access to water by z%’, ‘we have reduced inflation by t%’, ‘we have prosecuted u number of looters, including Jonathan, successfully’, ‘we have stopped corruption completely in Nigerian police, immigration service, the CBN, the navy et al’, ‘we have released a plausible economic plan on diversification’, ‘we have improved public health, maternal…., have revamped health insurance scheme for all Nigerians, and have provided paid parental leave for all Nigerian female workers’, ‘we have paid all workers their dues from local to federal levels, and have sacked all our incompetent governors’, ‘we have increased education funding by t%’…..
Will these have been impossible for a government that live on so much goodwill? Garba could not name one single clear achievement. I was amazed Garba named TSA as Buhari’s achievement. So Nigeria has N3Tr somewhere? Why are they junketing everywhere looking for loan to finance the budget? He also claimed diversification, liberalisation…. What are the outcomes? Why didn’t he mention power, health, education, water…? Were these Buhari’s campaign promises? If i have ever seen anything like scrapping the bottom of the barrel , then this is it. Security: Boko haram threat receded but has been replaced by the terrorist herdsmen. BH was limited to the NE, The terrorist herdsmen have extended their threat to life to NW, NE , NC, SE, SS and SW. On balance, terror and absence of security has worsened. Corruption: Very impressive fight against corruption that is slowly and surely shaking up all aspects of Nigerian society and ably supported by a very competent foreign policy input. Economy: A very bad economic situation was inherited. The CBN had (in a period of weak demand) increased interest rates, increased the amount of banking assets kept with the CBN, the FG sucked trillions out of the domestic economy through the TSA and the CBN also sucked almost a trillion of naira out of the domestic market. Additionally, CBN FX and monetary policies has ensured many companies have gone bankrupt (less VAT money for FIRS) , imports have been drastically reduced (less money for the NPA) and foreign firms are dissuaded from investing in Nigeria (less FX coming into Nigeria and less ability for the appreciation of the Naira). The economy is diversified. The only diversity that is lacking in the FG and CBN is wisdom that needs to be added to the qualities of daftness, intransigence and ignorance of matters of economics mainly coming out of the CBN and to a lesser extent the FG (in relation to the timing of the TSA). Result – the economy is in recession, the FG has little money to stimulate the economy because it will not reach its budget expectations and the CBN is busy implementing (for the past year and a half) the most contractionary monetary policy ever used in an economy bereft of demand. The confluence of all this has brought Nigeria its first recession in 16 years. Seccessionist impulses: We now have BH, Biafra and the ND Avengers. The threats to Nigeria has trebled rather than declined. When added to the marked decline in the economy and the intrusive fight against corruption taken right to the heart of the military (army and airforce), The trends shows that it is a matter of time before all the forces combine to make a forceful removal of this government and the fourth republic by the corrupt political/military class politically acceptable by the Nigerian people (in the event that such threatened people are in fact out there). That political environment will come within 12 months. Social welfare: In line with the drastic reduction of revenue coming from FIRS and the NPA added to the reduction of revenue due to the activities of the ND Avengers, the difficulty the FG will have in obtaining loans from commercial lenders and the high debt service burden of 1.45 trillion naira a year, it is fanciful to suggest that Nigeria can afford to pay 5,000 naira to millions of people. It was also ill-advised for the police to hire 10,000 more police workers. The size of the FG bill needs to be reduced not increased. The first year of the APC on balance has been marked by good intentions, lack of knowledge of how the economy works and a lack of wisdom of the political and economic consequences of actions. 1. The killing of more than 2000 Nigerians in Boko-haram attacks. 2. The killing of more than 3000 Nigerians by Fulani herdsmen as the government kept mute due to obvious tribal and religious bias, the Agatu and Enugu massacres are very memorable. 3. The extra-judicial massacres of scores of unarmed and peaceful pro-Biafran agitators in the SS and SE . 4. The extra-judicial massacre of unarmed Shiite civilians numbering above 1000 according to Shiite sources and including women and children who were later buried in secret mass graves by the regime as an elaborate cover-up plan kicked in to confuse the world. 5. The assault on the hard-earned democratic freedoms and rights of Nigerian was pursued by the Buhari junta in a rather single minded and brutal manner with the SS and SE bearing the brunt due to the 95%-5% discrimination doctrine personally invented by Buhari during his first official visit to the USA. 6. The destructive and suicidal FOREX policies of the Buhari administration has destroyed small scale and medium scale businesses, pushed unemployment to above 50% and caused the price of goods and services to sky-rocket at an 80% rate in 12 months. 7. Buhari has covered more air-miles than all west African leaders put together in 12 months. 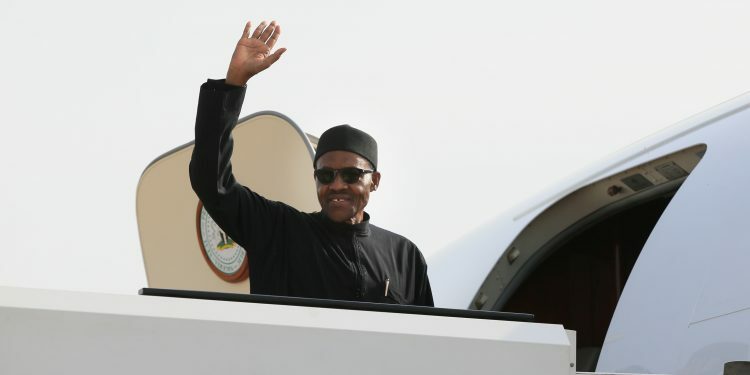 The insensitive and wasteful trips come as the all available indices are pointing downwards for the economy.Meanwhile the President maintain a fleet of presidential jets with no match on the African continent, about a dozen.